"The development schedule has been advanced considering diverse factors such as funding, facility investment and production plans," one of several sources told ET News, cited by the Korea Herald. "Work for this year's iPhone started in April, also earlier than usual." The company was previously said to be considering 5.28- and 6.46-inch displays, but decided to abandon the 5.28-inch size as a result of both demand for big-screen phones and technological progress. It's expected that the company will sell three OLED models next year, although the Herald didn't offer any details on the third. 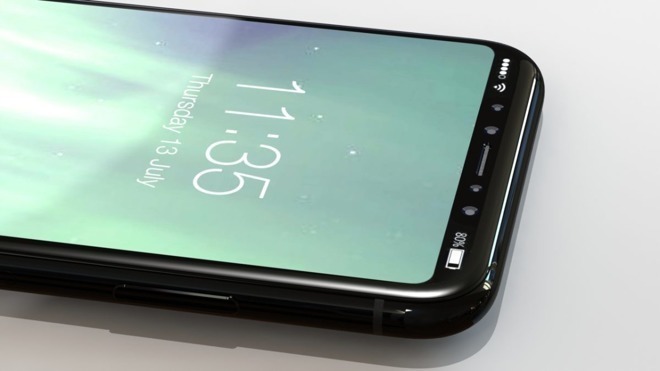 The publication did note that 5.85 inches is the same size as this year's "iPhone 8,", and it would make sense for the company to carry over the same form factor. Samsung is believed to be Apple's lone OLED supplier, as it's the only company with the capacity to manufacture OLED at a large scale. Firms like LG and Sharp are only now beginning to ramp up infrastructure. The "iPhone 8" should be announced at a Sept. 12 press event. Other features are expected to include 3D facial recognition, wireless charging, and a faster "A11" processor.